NoCleverName wrote: But when I was skiing in the junk with a TTS instructor (up-move city) he was saying "maybe we should stay away" from the heavily tree-lined edges. Upon reflection later I realized that in PMTS if I was aiming towards the edge I was already tipping and rolling the skis into a turn. The worst that could happen was a feet-first slide off the trail, not a head-long crash because something went horribly wrong in an up-move transition. Be careful here. You could take a head first crash into the trees regardless of technique. You never know what the skis are going to do during a crash and sometimes things go very bad. Yes, my injury was after I crashed, caught the tail of the ski and it twisted my knee. See my avatar, imagine the stance ski popping out of the snow, by either booting out or hitting something. Max_501 wrote: Be careful here. You could take a head first crash into the trees regardless of technique. You never know what the skis are going to do during a crash and sometimes things go very bad. You can't take the risk out of skiing, but you can take out the stupid. I've already had one friend killed in this sport; I'm just looking to improve my odds. I have to admit, earlier in this thread I expressed my doubts, but after applying a lot of the advice I found that, in fact, the basic PMTS moves do work pretty much unchanged in all the conditions I ran into this spring. True, sometimes I had to be a bit more simultaneous with the tipping instead of waiting around for the free foot to kickstart the stance foot. But that didn't change the basics. The good news is that the season pretty much ended on a high note with these lessons learned (no, I am NOT booking anything near a-basin). I've got to spend some more time on the slant board ... which proved quite useful. Is that a good excuse to avoid yard work? In other news, the Marathon usually knocks out the last week of the season for me. Next year, I have the feeling we're going to put on something outlandishly spectacular. You heard it here first. NoCleverName wrote: I've got to spend some more time on the slant board ... which proved quite useful. Is that a good excuse to avoid yard work? My project is to learn to balance in the post-transition/high-C on-the-downhill edges when the stance ski is still the uphill ski and getting my weight "over" the stance ski in that position. 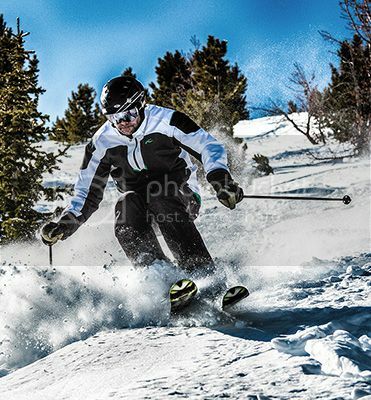 In other words, tip the free ski (downhill ski) while keeping the weight off of it and use that leverage up that leg, through the hips and weight the stance ski (uphill ski). And keeping my stance narrow, tipping equal, and ankles flexed, body forward. My yard is on a hill so I can practice it there while doing yard work. However my family always becomes extremely concerned when I do it, they are worried that the neighbors might think I'm acting strangely. Skiing at terminal velocity with a big flex to float after blasting through the snow. Surfin' the drifts is so much fun! Seriously? That could be in a magazine. Nice! Max_501 wrote: Surfin' the drifts is so much fun! I was really struggling in moguls unable to release the stance ski in time for the next turn and then on the wild pony ride. I then tried more of a weighted release and that improved my ability to release the stance ski, easily make the next turn in time at a faster speed with my skis together (no video to show). Is the weighted release or more weight emphasis on stance ski with TFR a technique good PMTS mogul skiers use in addition to the phantom move in moguls? Any type of release is fine, but if you have to rely on just one that is an indication of a technique flaw somewhere in the movements. Does the ability to ski spring slush translate at all to being able to ski powder? I am getting a lot of reps in slush but have not really ever got to ski in powder. 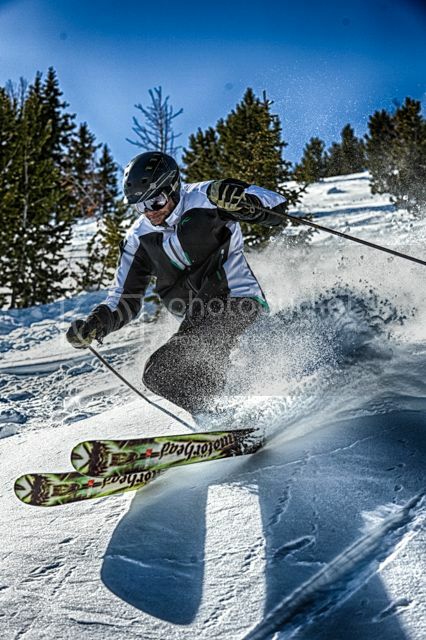 sujo wrote: Does the ability to ski spring slush translate at all to being able to ski powder? 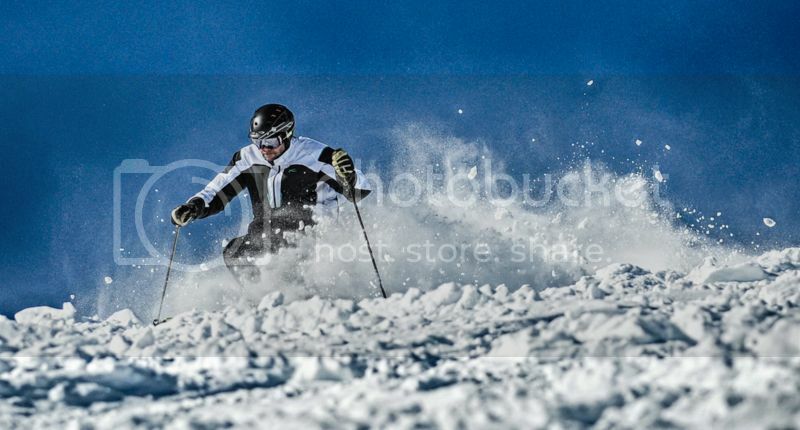 I am getting a lot of reps in slush but have not really ever got to ski in powder. If you are doing the movements properly and the slush is deeper then the answer is "sort of", because the fore/aft balance requirements are more challenging than on a groomer, which is also true for pow.